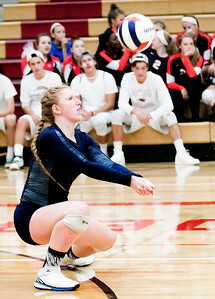 Sarah Nader - snader@shawmedia.com Cary-Grove's Madison Katchen returns the ball during Tuesday's match against Huntley at Huntley High School September 6, 2016. 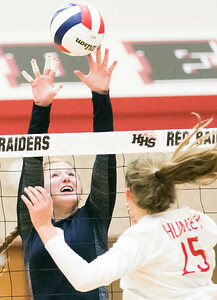 Cary-Grove defeated Huntley, 21-25, 26-24, 25-22. Sarah Nader - snader@shawmedia.com Cary-Grove's Madison Katchen (left) jumps to block the ball during Tuesday's match against Huntley at Huntley High School September 6, 2016. Cary-Grove defeated Huntley, 21-25, 26-24, 25-22. 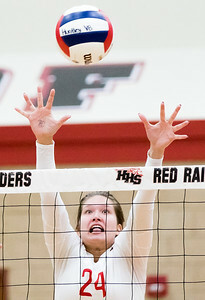 Sarah Nader - snader@shawmedia.com Cary-Grove's Rebecca Elrod hits the ball over the net during Tuesday's match against Huntley at Huntley High School September 6, 2016. Cary-Grove defeated Huntley, 21-25, 26-24, 25-22. 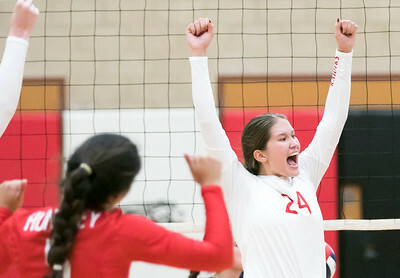 Sarah Nader - snader@shawmedia.com Huntley's Caitlin Thorelius celebrates a win during Tuesday's match against Cary-Grove at Huntley High School September 6, 2016. Cary-Grove defeated Huntley, 21-25, 26-24, 25-22. Sarah Nader - snader@shawmedia.com Huntley's Alyson Dion (left) jumps to block the ball that Cary-Grove's Amber Olson taps over the net during Tuesday's match at Huntley High School September 6, 2016. Cary-Grove defeated Huntley, 21-25, 26-24, 25-22. Sarah Nader - snader@shawmedia.com Huntley's Caitlin Thorelius jumps to block the ball during Tuesday's match against Cary-Grove at Huntley High School September 6, 2016. Cary-Grove defeated Huntley, 21-25, 26-24, 25-22. 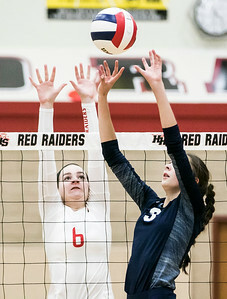 Sarah Nader - snader@shawmedia.com Huntley's Alyson Dion (left) hits the ball over the net while Cary-Grove's Shaelyn Foy jumps to block the ball during Tuesday's match at Huntley High School September 6, 2016. Cary-Grove defeated Huntley, 21-25, 26-24, 25-22. 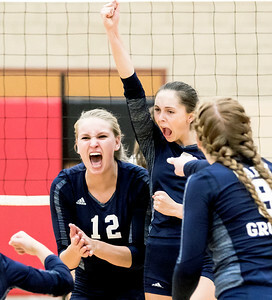 Sarah Nader - snader@shawmedia.com Cary-Grove's Rebecca Elrod (left) and Amber Olson celebrate a win during Tuesday's match against Huntley at Huntley High School September 6, 2016. Cary-Grove defeated Huntley, 21-25, 26-24, 25-22. 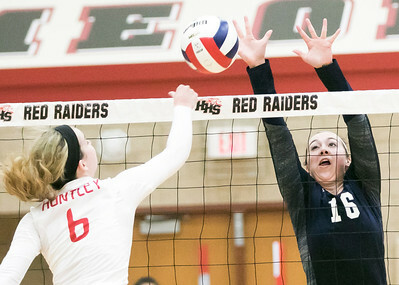 Cary-Grove's Amber Olson taps over the net during Tuesday's match at Huntley High School September 6, 2016. 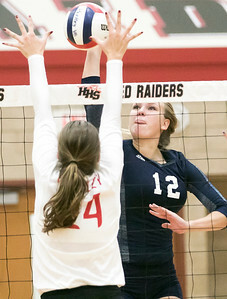 Cary-Grove defeated Huntley, 21-25, 26-24, 25-22.